Limitation periods are tricky. As lawyers, one of the first things we are taught is to pay close attention to limitation periods, because when you miss them the consequences can be devastating. And there are various limitation periods for various issues, so keeping track of them can be hard. For traffic tickets, you have 30 days from the date you are served with the ticket to dispute it. If you're served the ticket after the offence, this means from the date the officer issues the ticket, not the date of the driving incident. Remember too that traffic tickets are different from Immediate Roadside Prohibitions, 24-Hour Driving Prohibitions, or Administrative Driving Prohibitions, which have different time periods for dispute. But what happens when you miss the time to dispute your traffic ticket? This blog post attempts to explain what to do in that situation. The first thing you should do if you miss the time period to dispute a ticket is call a lawyer. If you realize you missed the time period, the next steps that you take can be critical in determining whether you are able to have the ticket registered in dispute late. Certain steps you might take could prevent you from being able to dispute the ticket at all. The other important thing to keep in mind is do not pay the ticket. As soon as you pay the ticket, you have admitted guilt and your ability to dispute the ticket, even late, is gone. Of course, this can pose significant problems if you need to buy insurance or renew your driver's license. In order to do either of these, ICBC will require you to pay your outstanding fines. So if you learn you missed your time to dispute a ticket, it is important to act before you need to do other actions with ICBC. The speed with which you act will also determine whether you can file your dispute late. If you learned that you missed your time to dispute a ticket and delay taking steps to address the problem, the Judicial Justice of the Peace may use your failure to act as a basis to infer that you did not have a genuine intention to dispute the ticket after all. As soon as the 30 day time limit passes, a ticket is registered on your driving record and the fine becomes due to ICBC immediately. This can trigger other consequences like a letter of intent to prohibit your license, or driver penalty point premiums and driver risk premiums. I have been contacted by countless clients who missed the time to dispute their tickets, and did not realize the consequences would be so significant. At this point, they decided to dispute the ticket. Unfortunately, you cannot get an extension of the time to dispute your ticket simply because you did not like the ultimate consequences. If you miss the 30 days to dispute your ticket, you can file an Affidavit, in the prescribed form, with the Traffic Court Registry. There are different forms for different disputes, depending on whether you missed the time to dispute the ticket, the hearing date, or whether it's been more than 30 days since your hearing date. The link above will take you to the correct form for missing the 30 day time limit to dispute the ticket. Extensions of the time to dispute the ticket are governed by Section 16 of the Offence Act. In order to be successful in disputing the ticket, you must provide information to show that you have a compelling case for an extension of the time. You need to prove that you did not have an opportunity to dispute the ticket, through no fault of your own. For example, if you wrote a letter of dispute but the mail was not picked up because of a Canada Post error, you would meet this criteria. Or if you fell ill and were hospitalized, you would a good argument. If you meant to dispute the ticket, but did not get around to writing your dispute because you got caught up in your Fantasy Football league, you're probably not likely to succeed. You also have to show that you had a genuine intention to dispute the ticket, and that it won't cause prejudice to the Crown. Generally, the Crown does not experience much prejudice in a late dispute. Of course, if the officer is transferred to Ottawa or passes away, then there might be a case for prejudice. But generally it is accepted that there will be no prejudice to the Crown by a late dispute. The traffic court Judicial Justice of the Peace who reviews your Affidavit will also want to know that you have an arguable defence to the ticket. There is no point in granting a late dispute if you aren't going to succeed. You do not need to reveal your entire defence, but you do need to provide some information to explain why the ticket is defensible. This is where a lawyer can be very helpful, as a lawyer can help you control the information you reveal without giving away your case. Finally, you have to show that it is in the interests of justice to allow the dispute to proceed. Guarding against wrongful conviction is certainly in the interests of justice, so if the ticket was wrongly issued to you then this will satisfy that criteria. A lawyer is also helpful in this regard, as a lawyer can help you explain what is and is not in the interests of justice. It is best to consult with a lawyer before filing an Affidavit to extend the time period. There are also important things about Affidavits that you should know. An Affidavit is a sworn or solemnly affirmed statement, so you must tell the truth in it. If you provide untruthful information, you are committing perjury and could face criminal charges with a maximum of 14 years in jail as a sentence. You can also be cross-examined on information you put in an Affidavit, so revealing too much of your defence gives the officer the opportunity in your traffic court trial, to cross-examine you on these statements to try to undermine your credibility. This is another reason why consulting a lawyer is the smartest thing you can do before trying to get more time to dispute your ticket. If you miss your traffic court hearing, you will be deemed guilty. This is by operation of Section 15(12) of the Offence Act. However, if you failed to appear, you can file an Affidavit with the Traffic Court Registry, and the Judicial Justice of the Peace will determine whether your failure to appear should be excused. The test for determining whether to allow the hearing to be rescheduled after it was missed is much simpler than allowing a ticket to be disputed after the 30 days. In these circumstances, the Judicial Justice of the Peace need only be satisfied that the person who missed the court date did so for a reason that was not their fault. For example, if the Notice of Hearing was mailed to the wrong address, then that would be a good reason to reschedule the date. There are a few things to keep in mind when determining whether it was your fault or not that you missed a court date. If you changed your address between when you disputed the traffic ticket and when you had your court date, your application will often not be allowed. This is because it is necessary to notify the Violation Ticket Centre of any change in address. Again, you are filing an Affidavit so you will need to be truthful. In some respects, I find this unfair. 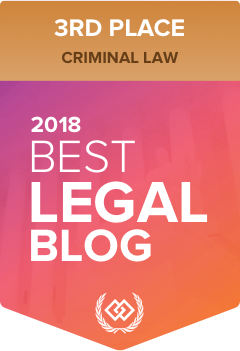 There are significant delays between when a ticket is disputed and when a traffic court hearing date is ultimately scheduled, and it is easy in that time span to simply forget that you have a ticket in dispute and need to notify about a change in address. It is also a good idea to provide any relevant evidence you have to show that you missed court for a reason you could not control. For example, if you were ill you should obtain medical records documenting your hospital admission or doctor's visit. If you were in a car accident, a copy of the accident report and the ICBC claim information will show that you did not contribute to your failure to appear in court. And "I forgot" is not really a good excuse, but you would be surprised at the number of people who seem to think that it is. Again, an experienced traffic lawyer can assist you in rescheduling a hearing you missed and in building the right case to demonstrate that you missed your hearing through no fault of your own. Finally, keep track of when you were supposed to appear in court. It is easier to dispute the time period when fewer than thirty days have passed since the court date. After thirty days, the process is more complicated and you have to also prove the elements that must be proven in disputing a ticket after the 30 days have passed. It is wise to call a lawyer at this point, because the complexity of the process can be very overwhelming. If you missed the time to dispute your traffic ticket, or you missed your court date, call me. I have experience and success in unwinding these deemed convictions, and can help you get the traffic court hearing you intended to have. I had a court case due to a driving prohibition and that was around october. I forgot to dispute the ticket of a cellphone charge. Ive been caught up with the court case and financial issues with my lawyer and i just started school on november and i forgot all about it. I tried to sent it by mail but it came back to my post office. I was having a hard time balancing school and this at the same time and im worried that after my year suspension, im going to be suspended again. And i am in need to be driving on october for job wise and school wise. I really need help on this one to get out of it. Please reply to me as soon as you can. I stumbled upon your website. I have randomly been pulled over on March 12, 2017 for no reason and to my surprise, without being aware or any warning, I didn't know that my License (N) was expired on March 07, 2017. It was really unintentional and I was hoping to get a warning, considering that I am about to take my Class 5 lincense this coming June. I did not receive any mail from ICBC, nor a call. Under the MVA 24(1), this is 3 points demerit and I cannot afford to have my license prohibited because I was under probation after a suspension back in March 2015 for Speeding. I had the impression that every Driver's License have 5 year renewal. Mine was only for 2 years. What will happen? I put the court hearing date on the wrong date in my calendar and missed hearing, can I still ask for a rescheduling?